Selangor is located on the West Coast of Peninsular Malaysia and is the most developed state with a population of 5.4 million based on 2010 estimates. This is the most popular state where people from the rural areas migrated to the various towns here due to the lack of job opportunities in the rural areas. Most institutions of higher learning are located in this state as well. The composition of ethnic groups is about 53% Malay, 27% Chinese, 13% Indian and 7% others. The main gateway to Malaysia, Kuala Lumpur International Airport and Low Cost Carrier Terminal are located in Sepang, one of the nine administrative districts of the state. 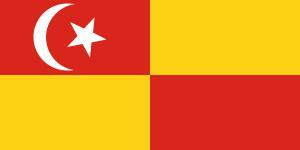 Kuala Lumpur used to be part of this state before it becomes a federal territory on 1 February 1974. There are many parks, museums, shopping complexes and cuisines that you can visit and try while you are in Selangor. The state government has launched Bus Selangorku free bus services in Shah Alam, Klang, Subang Jaya, Ampang Jaya, Kajang, Sepang and Hulu Selangor to encourage the public to use buses instead of driving. This free service will help to alleviate the lower income group from the rising cost of living. This effort will also help to reduce the number of vehicles on the roads. The buses will run at an interval of 15-45 minutes depending on the demand from 6am-9/10pm daily. For any enquiry, contact the service hotline at 03-7885 2585. For enquiry on Ampang Jaya route, contact 03-4296 8085. Here are the main routes of the buses. The best way to plan your free travel is to download the Selangor Intelligent Transport System at Google Play. Currently, the apps can only be downloaded on Android phones. Once you have registered your email and phone number, the system will send the activation instructions to the email. Once activated, you can use the apps to plan your Smart Selangor bus services. There are 3 routes that are being serviced currently. See the details of Shah Alam routes here. The Selayang route is from Selayang Mutiara to Terminal Putra Gombak with interval of about 30 minutes. There are a total of four routes that are in service within Sepang township. The bus interval is about 45 minutes with free WIFI on board. See the latest details of Sepang routes here. Batu Dam and Sg. Tua Recreational Forest in Ulu Yam have nice scenery and recreational forest that are popular with locals. Central Park Bandar Utama is located just opposite the New Wing of 1 Utama Shopping Centre. Commonwealth Forest Park is located within the vicinity of Kanching Waterfalls, Selayang Hot Spring and Templer Park. FRIM is about 16km away from the city of Kuala Lumpur and has over 15,000 species of plants. Try the 30m canopy walk and look out for the "Crown Shyness" Phenomenon. Birds and insects thrive on this 600 hectares tropical rainforest. 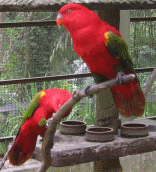 Kuala Selangor Nature Park is about an hour drive away from the city of Kuala Lumpur. Bird watching, photography and walking through the trails are some of the activities you can do here. Taman Botani Negara or National Botanical Garden is located in the city of Shah Alam has many agricultural plants such as paddy, cocoa, rubber, oil palm, coconut and coffee. There are lakes where you may want to try fishing. Four season house also displays plants from one of the temperate climate seasons. Shah Alam Lake Gardens is the place to go for an evening stroll or jogging. Canoeing is another activity you can do on the lake. The Wet World Shah Alam Theme Park is just within walking distance of this park. Malawati Hill is another historical site where a light house, royal mausoleum, viewing tower, museum, 200-year-old angsana trees and the monkeys can be found here. This hill is located in Kuala Selangor. Boiling eggs at the Sg. Klah Hot Springs. Kepong Metropolitan Park is a nice park with lakes where you can go jogging or just relaxing on the benches there. Kite flying is the main activity in the evening. Taman Tun Dr. Ismail Lembah Kiara Park is a good place for joggers or just taking a stroll. Templer Park is another place to go for hiking and a dip in the refreshing waterfalls. Zoo Negara has over 5,500 animals from over 400 species. It is located in Hulu Kelang in Ampang, Selangor. Kuala Kubu Bharu is a historical town that you will pass by on your way to Fraser's Hill. Taking a day trip to this town is also a good idea. Kuala Selangor Firefly is the place to go in the evening after sun set. You will cruise along the river and see the fire flies at the Berembang trees. e@Curve used to be known as Cineleisure Damansara and is a shopping mall. Cathay cinema is located here for those who are into movies. i-City in Shah Alam is a good place to go as a family. Enjoy the colourful LED lights and Snowalk. Kelong Paradise Waterfront Resort is the place to go for serious fishing. Overnight stay in rooms and dormitories is available. This kelong is located off the coast of Sabak Bernam. Paya Indah Wetlands at Dengkil is a good place to spend half a day or even a day. Attractions here include the hippopotamus, porcupines and crocodiles. You can also fish and cycle here. Pulau Ketam is a good place for family outing. A day trip is good enough as this is a small fishing island. Sekinchan paddy fields is a sight to enjoy and for photography. Danau Serendah is another place in Serendah that you can go pond-fishing. 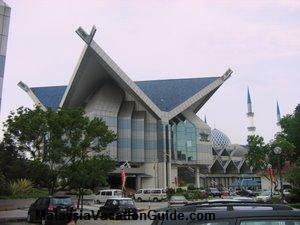 Blue Mosque is located in Shah Alam and is the largest mosque in South East Asia. Jugra used to be the royal capital of Sgor. The Bandar Palace is still there today for visitors to visit. It is about 8km away from the town of Banting. Klang is the royal town that is rich in history. Attractions here include the Kota Bridge, Kota Mahadi, Railway Station and Pre-War Shops. MinNature has many miniature models of the places of interest in Malaysia and is located in USJ Summit, Subang Jaya. Petaling Jaya Museum is the place to go if you want to find out more on the history of Petaling Jaya, Selangor. Raja Tun Uda Library in Shah Alam is a modern 6 storey building with facilities such as 6D cinema and gymnasiums. Sultan Alam Shah Museum is located in Shah Alam and exhibits how olden people live and the tools they used, the cultural section exhibits the customs of the Malays in the state. Other sections include the Islamic Gallery and Natural History Gallery. Sultan Abdul Aziz Royal Gallery in Klang is a good place to go to know more about the Selangor Sultanate history. Students are encouraged to visit this place. 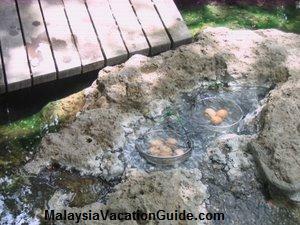 Selayang Hot Spring is another smaller version of hot springs that you can go to. Sunway Lagoon Theme Park has many rides, water slides, suspension bridge and man-made beach that you can enjoy as a family. Royal Sgor Pewter was founded in the year 1885 and the tin-based products are produced here. Sungai Tekala Waterfalls is about 14km away from Semenyih town and is popular with the locals as a place for relaxation and picnic. Kanching Recreational Forest waterfalls near Rawang is located at Templer's Park and is packed with people especially during the weekends. Try going during the weekdays if you can. Klang Little India has many products and is popular with the Indian community in Selangor. Amcorp Mall is located near Taman Jaya and Petaling Jaya Museum. The oldest A&W Restaurant is also located within the vicinity. Aeon Bukit Tinggi Klang is the newest and biggest shopping mall in the royal town of Klang. Jusco, post office and Popular bookstore are located here as well. Centre Point Bandar Utama is a shopping mall of smaller size compared to 1 Utama which is 5 minutes drive away. This mall provides shopping convenience to the local residents here. Digital Mall PJ at Section 14, Petaling Jaya is the place to for for IT and computer accessories similar to Low Yat Plaza in Kuala Lumpur. Empire Shopping Gallery is the newest shopping mall in Subang Jaya. 1 Utama Shopping Centre is one of the busiest and biggest shopping mall in the city of Petaling Jaya. You can find most of the popular franchise outlets here. It is crowded especially during the weekends and public holidays. IPC Shopping Centre is located in Mutiara Damansara and within the vicinity of TESCO, IKEA, e@Curve, the Curve and Royale Bintang Damansara Hotel. The Mines is located in Balakong and was previously known as Mines Shopping Fair. You can also enjoy the cruise on the north or south lakes as this mall is connected to the man-made lake. IOI Mall is located in Puchong and a new wing with more shops were added recently. Golden Screens Cinema is located here. Subang Parade in Subang Jaya has been around forthe past 20 years and was recently renovated to enhance its image. Sunway Giza is located in the new township of Kota Damansara. Village Grocer, Hong Leong Bank and various restaurants are here as well. Sunway Pyramid in Bandar Sunway is a major shopping mall with ice-skating rink, bowling centre, snooker and cinemas to name a few. the Curve in Mutiara Damansara has many eateries and outlets selling branded goods. Tropicana City Mall is the latest mall near Section 17. This medium size mall is smaller compared to 1 Utama but nevertheless is popular with the residents staying nearby. Ampang Yong Tau Foo has been around for a long time and the price of the food is reasonably cheap compared to the more established air-conditioned outlets. Bagan Pasir Seafood in Tanjung Karang is not the regular place where visitors head to. This reasonably priced restaurant is popular with the locals and serves fresh seafood. Bagan Tengkorak Seafood is another good no frills seafood reataurant that you can go to if you have your own transport. Drop by this quiet town and try the famous noodles and fish cake. Dengkil Yew Hin restaurant near Cyberjaya/Putrajaya is famous for its prawn "loh mee" and fried senangin with chillies. Durians in Petaling Jaya near the police station is the place to go for the king of the fruits. Gohtong Jaya is the town to go in Genting Highlands if you prefer simple meals and dessert. Ijok is famous for beggar's chicken, where the chicken is stuffed with herbs before being baked in open air wood oven. Ipoh Road Hakka Yong Tau Foo now has a branch in Rawang. It is located near Tesco. Kepong is one of the oldest town in Selangor. Try the food at the food court if you are tight on budget. 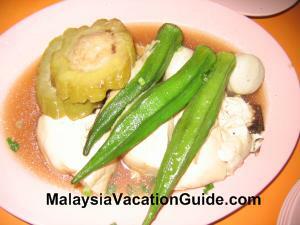 Klang Bak Kut Teh is tasty and many travel all the way here just to taste this delicacy. Kuala Kubu Bharu is a quiet and peaceful town to visit. Get some kaya puffs and try the Hailam mee before going up to Frasers Hill. Old Town Section 1 has many stalls with delicious and traditional food. Pasir Penambang is a popular destination for seafood as there are many restaurants that are located along the river overlooking the sea. Rawang Tilapia Wantan Mee no frills stall is located at a residential garden. Famous for tilapia fish with noodles. Section 17 in Petaling Jaya has a famous coffee shop that sells roast pork, roast chicken and barbecue pork. Sungai Buloh has some good and reasonably priced Chinese restaurants. Sungai Way Sun Tho Yuen Coffee Shop serves traditional yam rice for lunch. Taman Megah hawker food and other chinese cuisine. Tanjung Sepat coastal town is a good place to go for a day trip excursion. Take your lunch or dinner at Lovers Bridge Restaurant. Also famous for buns. Ulu Yam Lama Food If you are on your way to Genting Highlands, use the trunk road and drop by this town and taste the loh mee. Ulu Yam Bahru Chinese Food Try the spicy prawns coconut dish at Restoran Aik Khoon.